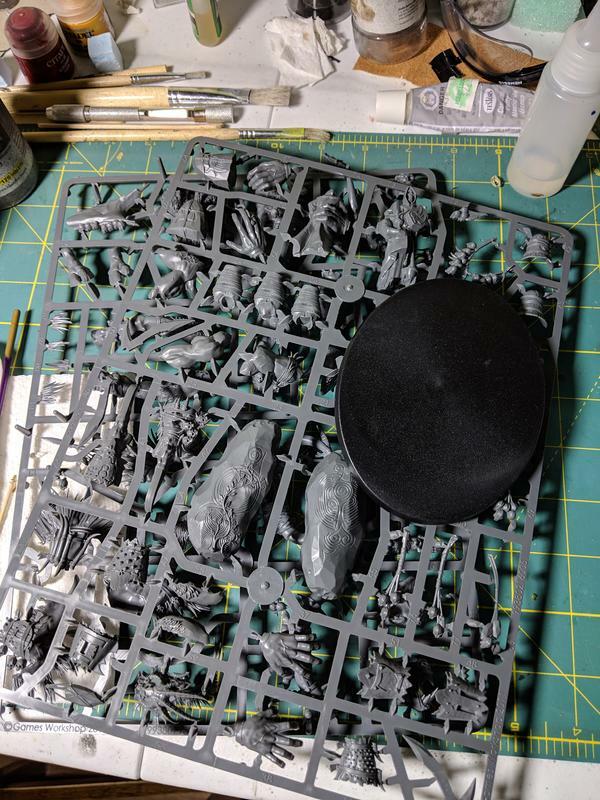 Finally time to build a real monster. The Ghorgon will bring the army to 950 points so far fun to build. Painting will commence soon. I decided to leave some of the detailed hanging parts off for now. I will definitely add the bell around his neck. I may not add the other pieces. 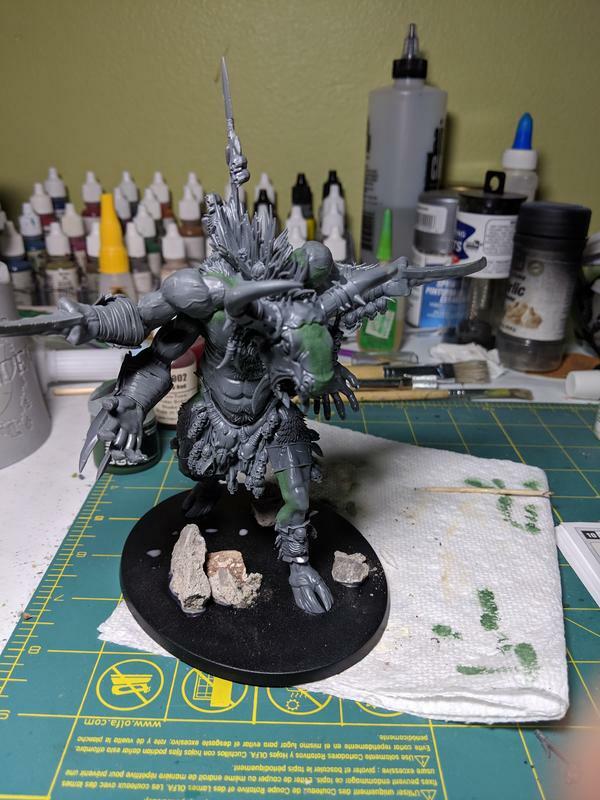 Sometimes I think GW models get a little to busy. Next entry 1000 pts complete! That thing is an actual beast in combat. Any good stories from the battlefield with him yet?